The MORGAN HEDGE Service Provider Directory enables hedge funds and investment managers to research and locate companies from around the world who deliver the services and products sought after in today's investment environment. Browse our directory to find firms that can help you achieve your goals and complement your operations. 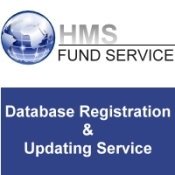 To register a firm in our Service Provider Directory, please click here. InsureHedge - a Division of Gaston & Associates, Inc.
Can Am Consulting Services, Inc.
F.S. von Stade & Associates, Inc.
Julius Baer & Co. Ltd.
Morgan Hedge and HEDGEweb are Trademarks of morganhedge.com, TAA LLC and VIImedia S.A.